Customer satisfaction is the key for any business to succeed. It is not just important in terms of increasing profitability through reduced churn and higher retention, happy customers are most often repeat customers that are likely to share their experience with peers. It works both ways, however. Whilst happy customers might tell nine friends, unhappy customers, on average, tell sixteen. Customer experiences and reviews can dramatically impact your organisation’s reputation and, as we’ve discussed previously, your reputation and values are now more important than simply offering your services at the lowest price. So how do you measure customer satisfaction and ensure that you are meeting expectations? We’ve taken a look at the different methods available, highlighting some of the pros and cons of each approach. There are a number of scoring methods that can be used to measure customer satisfaction, including the Customer Satisfaction Score (CSAT) or the Customer Effort Score (CES). The CSAT method is a versatile approach that generally asks customers to rank their experience based on a scale (usually 1-5 or 1-10) or it can also take the form of a custom survey with each question assigned a value that feeds into an overall rating. CES can also follow a ranking format but differs in that customers choose how difficult it was to complete a certain task. This method allows you to focus on the increasingly important area of customer experience – how easy it is for your customers to do business with you. Promoters - loyal enthusiasts who keep buying your wares and urge their friends to do the same. Passives - satisfied but unenthusiastic customers who could be easily tempted away by your competition. Detractors - unhappy customers trapped in a bad relationship with you. Your NPS score is calculated by subtracting the total percentage of ‘detractors’ from the percentage of ‘promoters’. The advantage of these types of scoring metrics is that they allow you to easily quantify results and identify significant trends and patterns within larger sets of data. In addition, they can be easily shared with other team members and stakeholders across the business, allowing relevant functions and departments to take appropriate action. For example, a marketing team might use this type of metric to segment customers likely to act as advocates for the brand or service, or to nurture dissatisfied segments. NPS, in particular, is a metric used commonly by large organisations and is therefore very valuable when benchmarking your performance against competitors in your sector. Which metric you use, whether you measure satisfaction of an experience or how simple a transaction is to carry out, depends on what is important to your particular business, and which areas you need to delve into. If, for example, you are considering investing in a new e-commerce platform, you may want to keep an eye on the Customer Effort Score for your current online ordering process to determine the potential return on that investment. Once you have decided which metrics provide the most valuable insight, they can be incorporated within your overall business KPIs (Key Performance Indicators). This raises their profile and allows you to measure the performance of priority areas over a set period of time, and take action should these fall short. Whilst scoring methods give you a high level measure of satisfaction and can identify trends across a large group of customers, they do not provide in-depth insight that allows you to truly understand ‘the why’ behind the numbers. You may know, for example, that ratings for your post-sales support have been steadily declining over time, but you don’t necessarily know why. This is where qualitative insight comes into play. In today’s digital world, more in-depth customer feedback can be gathered in many ways, whether in the form of a telephone conversation, email survey or through social media monitoring. Each method generally has its own advantages; for example, customer feedback surveys delivered via email or social channels benefit from the ability to send high volumes of surveys to maximise the quantity of feedback gathered. Customer feedback gleaned through social media comment is freely given at the customer’s own instigation. As the customer isn’t reacting to questions posed, the feedback is more open and with the advantage that it may throw light on issues that you would not have thought to consider. On the other hand, with an online survey, questions can be structured so that the data captured is consistent across all responses, making it easier to analyse and share. In addition, a survey can actively probe specific areas of concern, possibly those highlighted through quantitative methods, providing a deeper level of understanding. Methods involving one to one human interaction such as field and phone interviews allow for feedback in real-time, where the person carrying out the survey can react to response, gauge emotion and gain a true understanding of why a person may be satisfied or dissatisfied. As human interaction helps build trust, the person being surveyed may be more open and willing to disclose their true thoughts and feelings. More here of the benefits of measuring customer satisfaction over the phone. Not to be confused with feedback, a review which gives direct feedback on your product or service, can be an incredibly powerful tool, allowing organisations to capitalise on a good reputation amongst loyal customers. Monitoring customer reviews is an essential way to stay in tune with the satisfaction levels of your customer base. Depending on your industry and target audience, a review might be the most important channel for potential customers in making their purchase decision, for example, 85% of 16-34 year olds trust what they read in a review more than any other source of information. The review is entirely in the hands of your customer and, whilst that makes your brand vulnerable to negative feedback, it could be argued that feedback given freely and instigated by the customer themselves, is the most valuable of all. Moreover, by being open to customer reviews, responding promptly and engaging actively with customers, you demonstrate that your business is open and transparent, which in turn adds value to your brand. 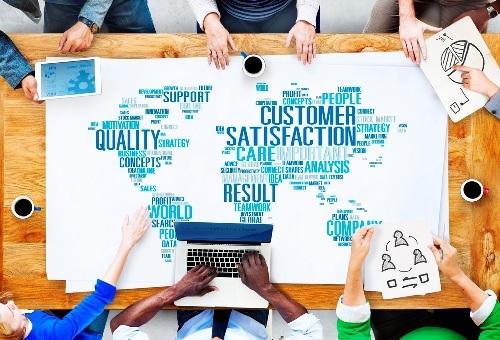 At The Telemarketing Company, our multilingual CATI specialists (Computer Assisted Telephone Interviewing) conduct over 250,000 customer satisfaction surveys every year. From simple feedback surveys and Net Promoter Scores to more complex quota-driven global engagements, we deliver powerful, actionable insight that allows our clients to understand their target audience and hone their sales and marketing strategies. As an FCA authorised business and a Market Research Society Company Partner, we are also well placed to support clients in financial services and other regulated sectors with their TCF (Treating Customers Fairly) compliance needs. To find out how we can provide valuable insights to help you refine and improve your customer’s experience, get in touch today.